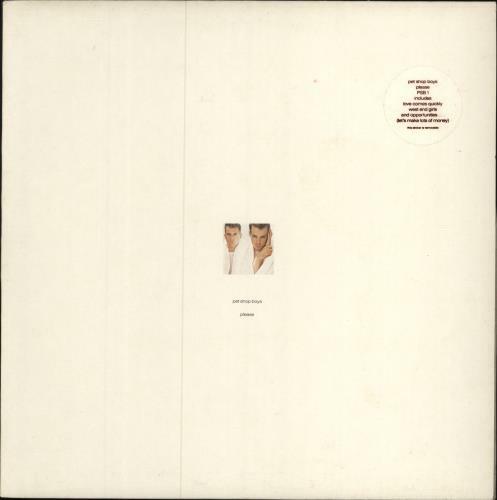 PET SHOP BOYS Please (1986 UK 10-track LP, the debut album from the electro-pop duo, including Love Comes Quickly, West End Girls and Opportunities. Hype stickered glossy picture sleeve complete with illustrated inner sleeve. This copy retainsits opened price stickered shrink so shows only light wear and the vinyl remains superb PSB1).